Nitrogen rates can be the most powerful yield influencer when it comes to corn inputs. Other management practices including fungicide, starter fertilizer and seeding rate also can significantly impact yield. 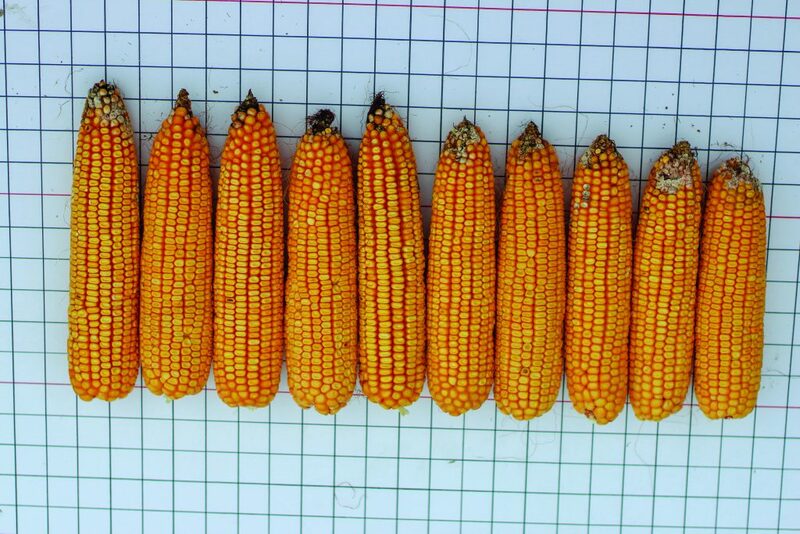 Seeding rates don’t always influence yield as expected because many of our hybrids have outstanding ear flex and the plant compensates for the additional space. Our planting rates were around 31,500 and 37,500 seeds per acre in our study, but weather greatly affected this. Several severe storms hit during the early growing season, and winds of 70+ mile-per-hour hit during the period of rapid growth for most of our corn. Corn fields throughout our area saw quite a bit of greensnap; the corn we planted 10 days later had no greensnap. Unfortunately, timing was not on our side. I took stand counts before harvest. Our final plant stands were 25,000 and 29,000 plants per acre (ppa) for the low and high seeding rates. We had approximately a 4,000-plant difference between the two seeding rates, which made a significant yield difference. Our CFV nitrogen test had 135 total lbs/A of N yielded 198 bushels per acre (bu/A) at the low seeding rate, and 210 bu/A at the high seeding rate. Our YG approach with 170 lbs/acres total nitrogen yielded 206 bu/A at the low seeding rate and 213 bu/A at the higher seeding rate. We saw both a 12 bu/A and 7 bu/A advantage with the higher seeding rates in the CFV and YG systems. After subtracting the cost for higher seeding rates, the additional yield resulted in additional revenues of $23.48/A (CFV) and $5.80/A (YG). We used LH 5245 VT2 PRO, which has a semi-flex ear. This means that even at the low seeding rate of 25,000 ppa, that hybrid had the late-season ability to flex enough in ear length and kernel depth (weight) to make up for lost bushels. The question is, “Does it pay to plant at higher rates?” It did for us in 2018, but there’s a good chance our results will differ in 2019. 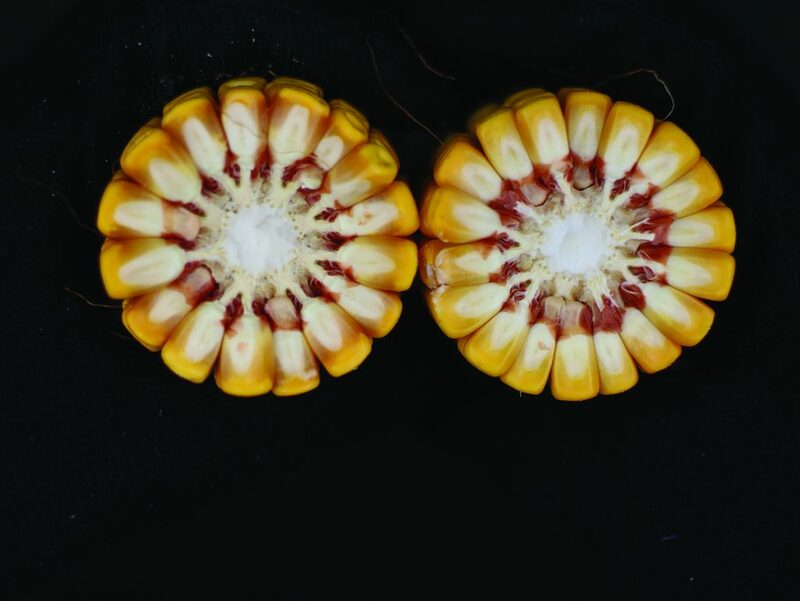 Results for LH 5245 VT2 PRO with planting populations at 15,000 ppa on the left (resulting in girth of 16 kernels and length of 38 kernels on the left-most ear) and 58,000 ppa on the right (girth 18, length 33 on the right-most ear). Cross Section split of LH 5245 VT2 PRO from Latham Hi-Tech Seeds stress wheel research study 2018. Our nitrogen test didn’t show a yield difference despite the 35 additional pounds in our YG approach. Given the abnormally high amount of rainfall and above-average growing degree units (GDUs) for the season, we likely saw an increased grain-fill period and some additional loss of nitrogen through leaching. Above-average temperatures and good soil moisture means we also likely had higher mineralization rates, so the soil may have saved us because this particular soil organic matter is 5.0 percent. All things considered, our YG approach won out in terms of revenue this year, but will it hit the mark every year? Consistency is what we want to see when trying to manage such a variable nutrient in the soil. In the future we plan to expand our research on the CFV Nitrogen Advisor tool to bring meaningful information on seeding rates to our dealers and customers.